Experience the best of Texas' fishing with the best guide service! The Texas Gulf Coast offers some of the best inshore fishing in the entire world. We have deep bay systems of Galveston and Sabine Lake that average 6 to 8 feet in depth that are covered with oyster shells to the shallow marsh ponds of Sabine Wildlife Refuge. The most sought after inshore game fish are the Speckled Trout, Redfish, and Flounder. Our Captains are all USCG licensed, Texas licensed, tournament professionals, and full time professional fishing guides. They are very friendly, knowledgeable, patient, and are dedicated to teaching you to become better fishermen. If you do not want the guide to fish or put fish in the boat just let us know. We emphasize catch all you want and keep only what you need to eat. Catch and release is the standard policy on guides fishing. We fish the entire Galveston Bay Complex (Trinity Bay, East Bay, and West Bay) for speckled trout, redfish, and flounder. Galveston Bay fishing is best from May through the end of October. When fishing the Galveston Bay Complex we will either wade-fish or drift fish from the boat. We will focus on shorelines, oyster reefs, birds, mud boils, and slicks. If you are looking for trophy speckled trout (this means looking for a few bites a day) then March through May is best. If you are looking for numbers of speckled trout and redfish the best months are May through July and September through November. The best fishing action under the birds for trout and redfish is from September until November when the shrimp are migrating out of the marsh for the winter. 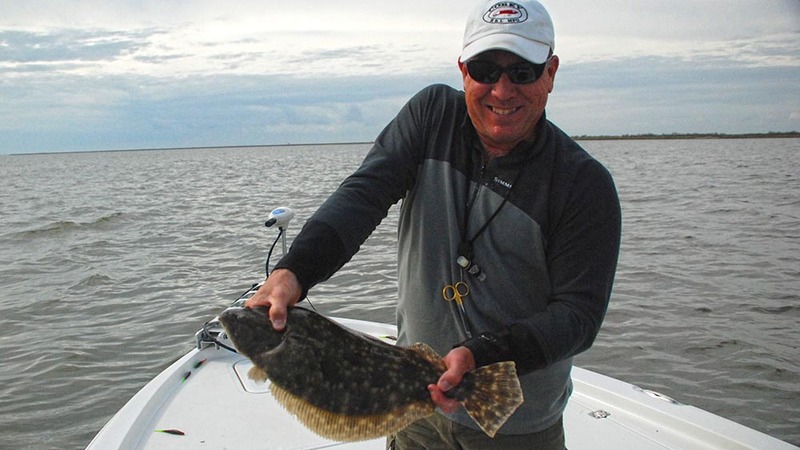 We fish Sabine Lake for speckled trout, redfish, and flounder from March through the end of October. When fishing Sabine Lake we will either wade-fish or drift fish from the boat. We will focus on shorelines, oyster reefs, birds, mud boils, and slicks. If you are looking for trophy speckled trout (this means looking for a few bites a day) then February through May is best. If you are looking for numbers of speckled trout and redfish the best months are May through July and September through November. The best fishing action under the birds for trout and redfish is from September until November when the shrimp are migrating out of the marsh for the winter. If you are looking at catching large bull redfish at the jetties the best time is March through June. We are talking 20 to 30 lb fish. 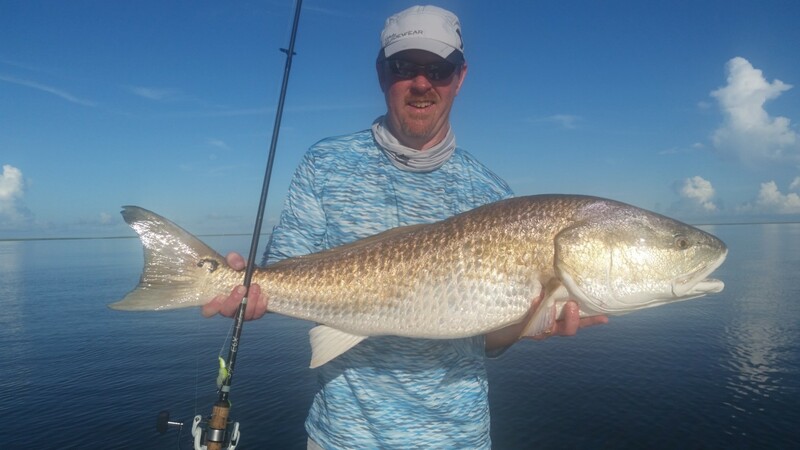 Book your Texas Flats and Inshore Fishing Charter Today!